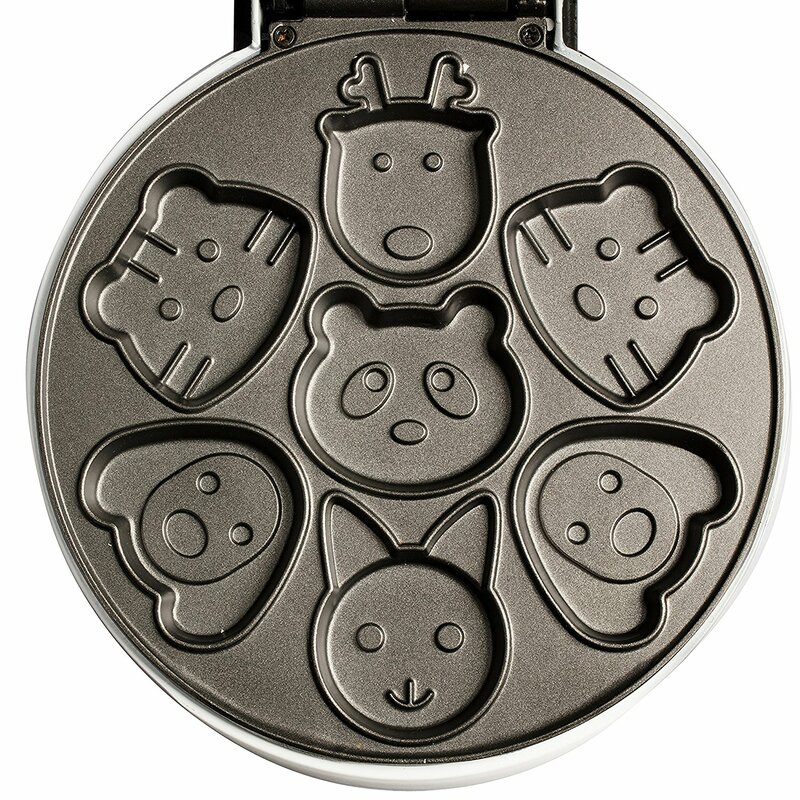 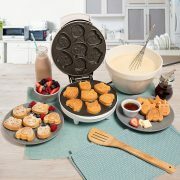 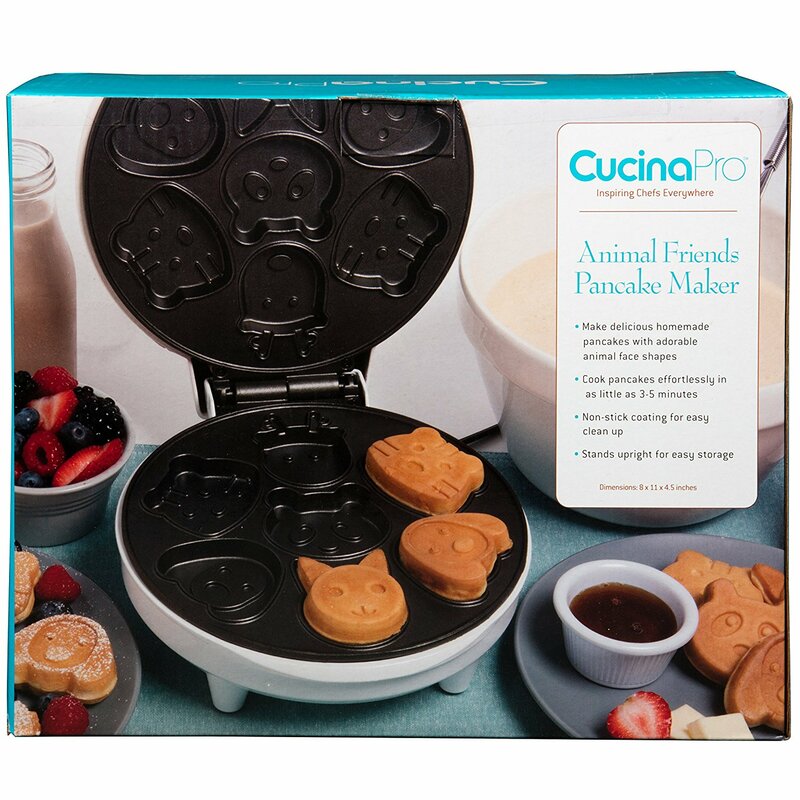 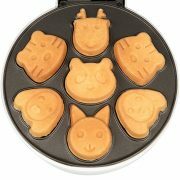 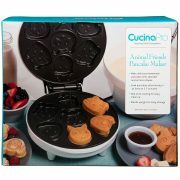 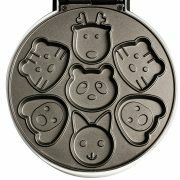 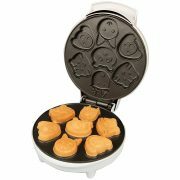 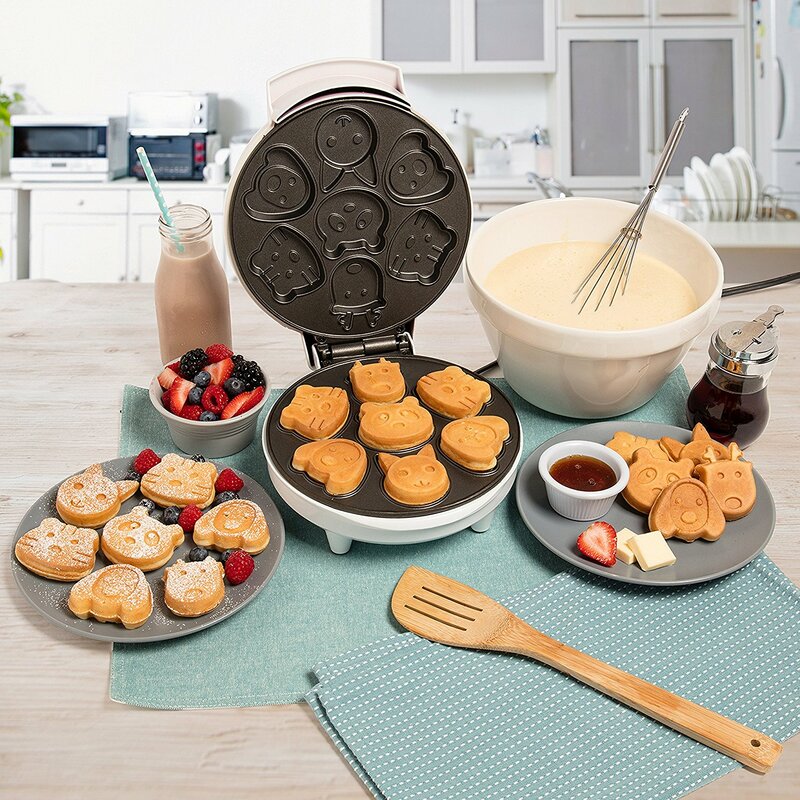 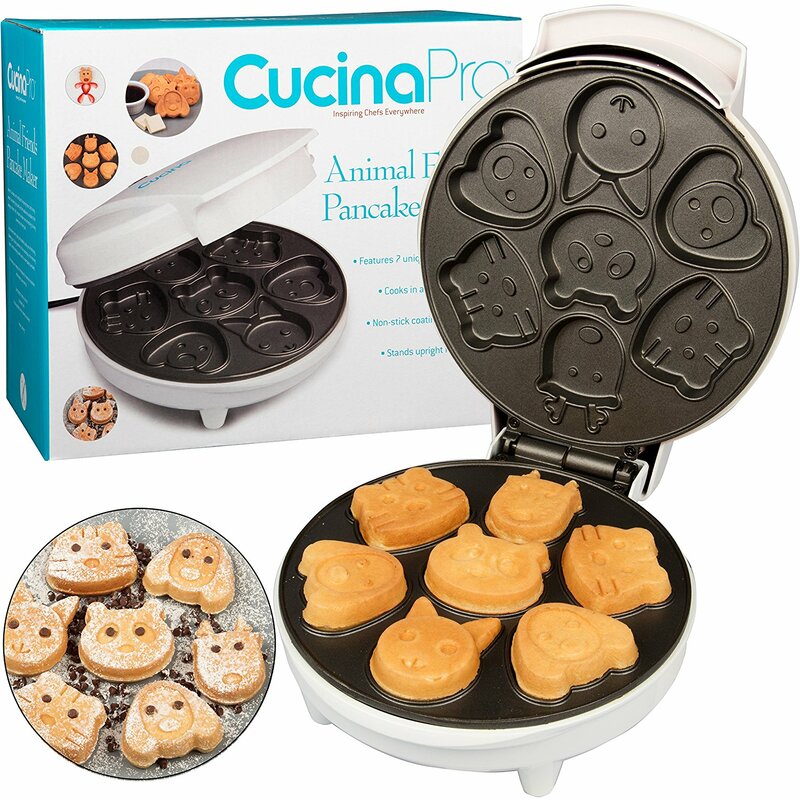 Make 7 adorable animal pancakes in as little as 3-5 minutes with the Animal Friends Pancake Maker by Cucina Pro. 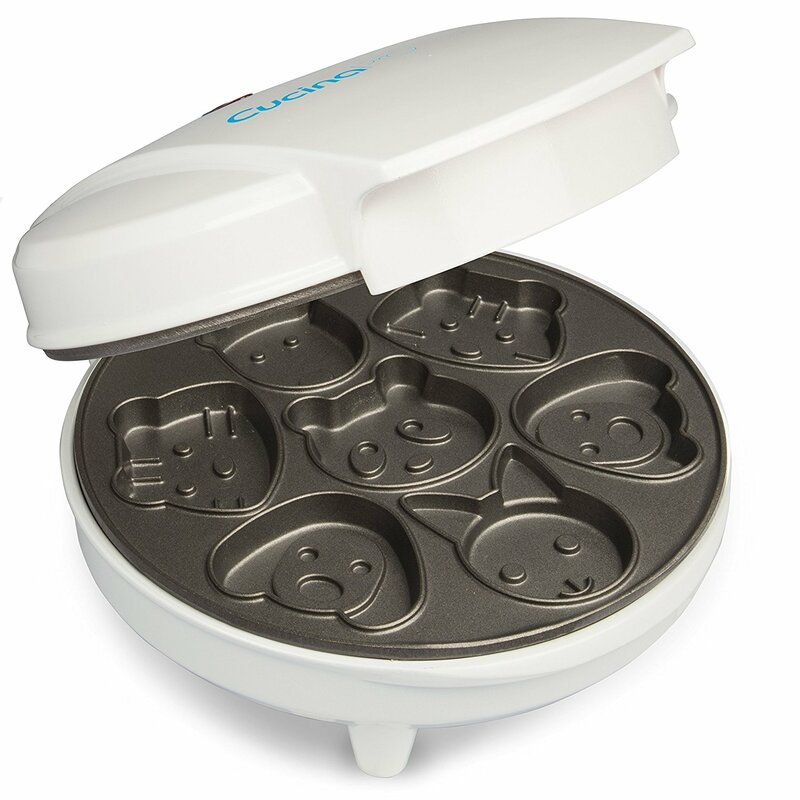 Non-stick cooking plates ensure easy clean up, and when you're finished, the pancake maker stands upright for easy storage. 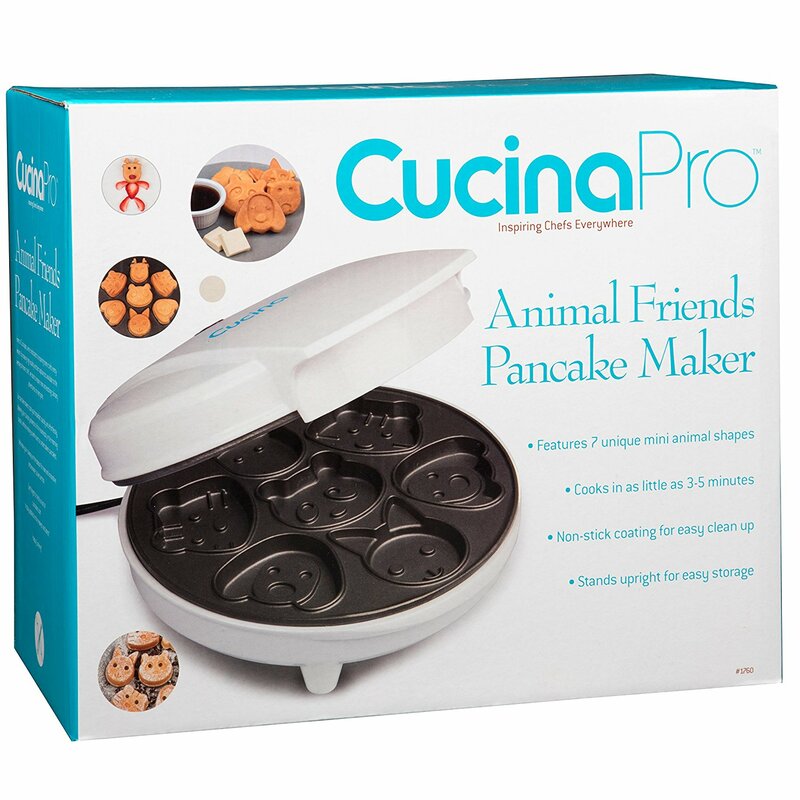 Makes 2 tigers, 2 dogs, 1 cat, 1 panda and 1 reindeer!